Coming from Mumbai, and being the son of a famous cricketer, Vijay Manjrekar, cricket came to his life almost seamlessly without much planning. And the fact that he had a technique well suited for test cricket, helped him gain a spot in the Indian national side. Though he had all the defensive shots to succeed in Test cricket, Sanjay’s career didn’t last long. His career never took off, with slings of failures under his belt, and he took an untimely retirement in 1998 at the age of 32. “I just enjoyed batting defensively. It didn’t bother me much what my score was after an hour, as long as I was playing flawlessly. I focused so much on playing correctly that I sometimes lost sight of what my real purpose at the crease was: to get runs…I had to look good to all those who were watching me. Tendulkar, to an extent, was the same, but because of his prodigious talent he could not help but hit a good ball for a four every now and then. Unlike me, who would be stuck on 20 for almost two hours. This was the Mumbai School of Batting. How you got your runs and against whom you got it mattered a lot. Just runs were not enough for Mumbai cricket.” he writes. Though he has been a reluctant cricketer during his playing days, he did take on commentary like fish to water. His analysis on the game both on and off air (through his columns) have earned him much love and accolades from his contemporaries. 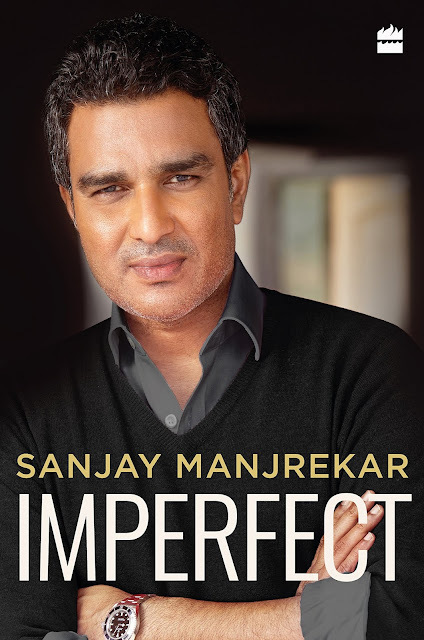 In the book he mentions the names of a few fellow commentaries (including Harsha Bhogle and Naseer Hussain) who have inspired him over the years to dig deeper into the game and seek for answers. The beauty of the book is that it never tries to play safe. He talks about his personal life, about his relationship with his father and how that impacted him as a child. He opens up about his playing days and his teammates during the time. And at last we speaks about his commentary stints and how that has changed his life. All chapters in the book, though talk about various phases of his life, describes the incidents in his life which touches one's emotional chords. Unlike his batting, which was more conventional, the book indulges in fancy stroke play and often runs on tricky wickets. This book will be appreciated by commoners as well as connoisseurs of the game.